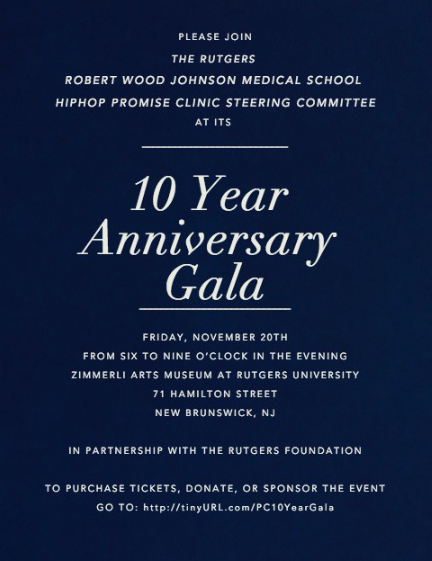 You are all invited to the Promise Clinic 10 Year Anniversary Gala! Join us on November 20th at the Zimmerli Art Museum to celebrate. There will be dinner, cocktails, live music, AND you will be supporting a great cause-- what's not to love?! Tickets can be purchased here. See the official invite below for more details.